Migraines are a tough condition to treat with one neurologist estimating that patients have a mere 45% chance of benefiting from any particular type of care. 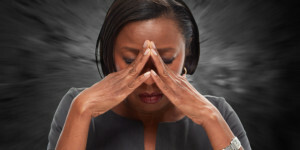 Add to this the fact that migraines are not simply a bad headache but a neurological condition that is made up of a number of complicated symptoms, and you have the recipe for a lot of frustrated patients – nearing a billion worldwide. As a result, researchers are looking into what causes a migraine. For example, many current forms of care are focused on proper blood flow to the brain as some research has shown migraines to be as much of a vascular issue as a neurological one. Functional MRIs have allowed scientists to see what is going on in the brain as particular symptoms occur before, during, and after a migraine. Activity in the brain amps up in certain locations as symptoms like light sensitivity, food cravings, irritability, or pain occur. Clearly, helping migraines needs to combat both neurological and vascular changes that take place during an attack. Upper cervical chiropractors are seeking to help migraine patients and other by means of a precise adjustment that can help total body wellness. The location for this adjustment is the C1 vertebra, also called the atlas. This bone balances the head, protects the brainstem, and helps facilitate blood flow to the brain via the vertebral arteries. A misalignment at this sensitive location can have far-reaching neurological and vascular effects. By correcting this misalignment with a low force adjustment, some upper cervical chiropractors have been able to help migraine patients see fewer or less severe attacks. Some patients even find complete resolution of the condition. If you suffer from migraines, especially if you experience neck pain as a symptom or if you have a history of head or neck trauma, contact an upper cervical chiropractor near you. 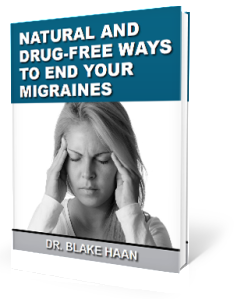 To schedule a complimentary consultation with Dr. Haan call 515-597-4600 or just click the button below.